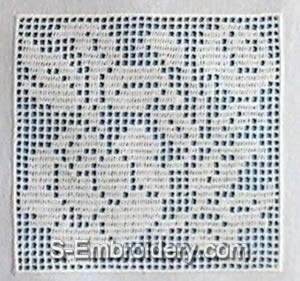 A set of 3 freestanding lace crochet squares with butterflies and rose decorations. 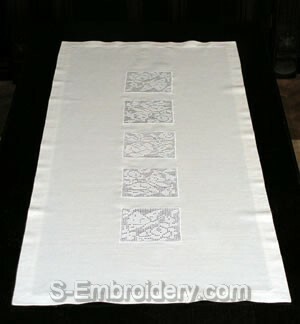 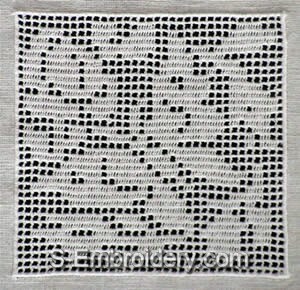 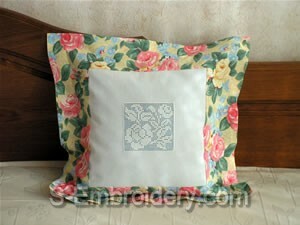 You can use these machine embroidery designs to decorate pillows, table cloth, curtains. 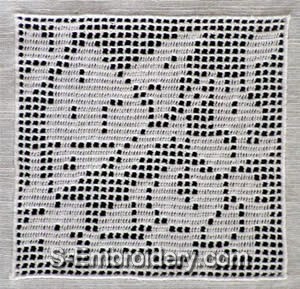 Our delivery includes design information and instructions in PDF format and 3 machine embroidery files in one of the supported formats.